In response to the needs of a wide variety of customers, Toshiba has developed the new AlexionT CT system, which delivers high performance multislice capabilities in a compact and affordable design. 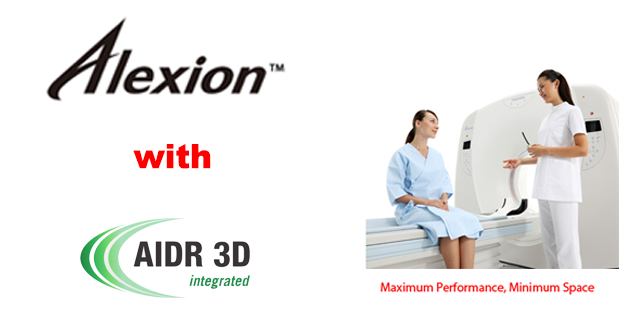 Alexion is the new entry level multislice CT system for customers who need high patient throughput, desire advanced 3D and postprocessing applications, and demand the latest dose reduction technologies. As well as offering advanced technology in a small package, Alexion features navigation mode operation for fi rst time and novice users.